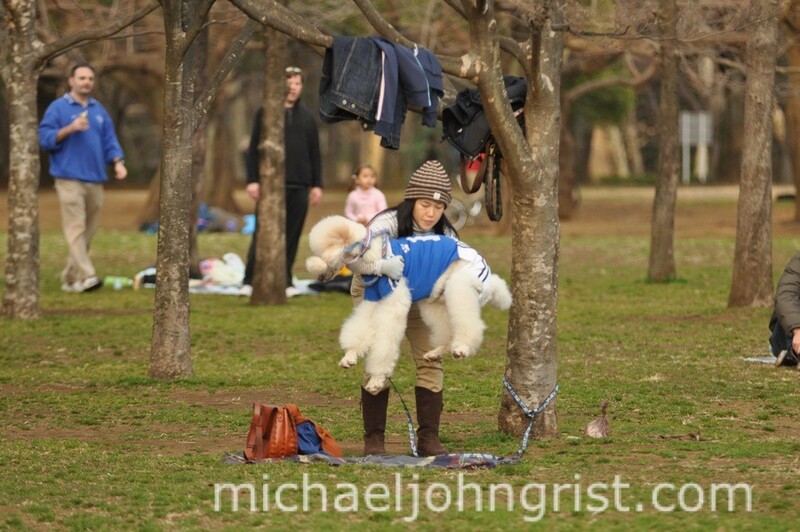 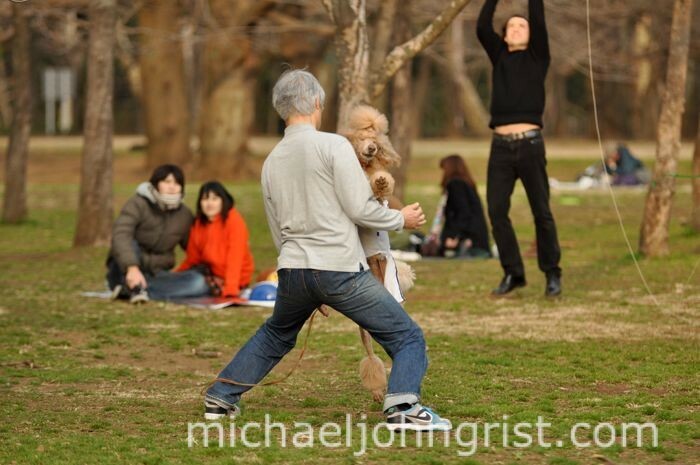 Yoyogi Park is the consummate Japanese melting pot- perhaps the most varied and vivid spot in the whole country. 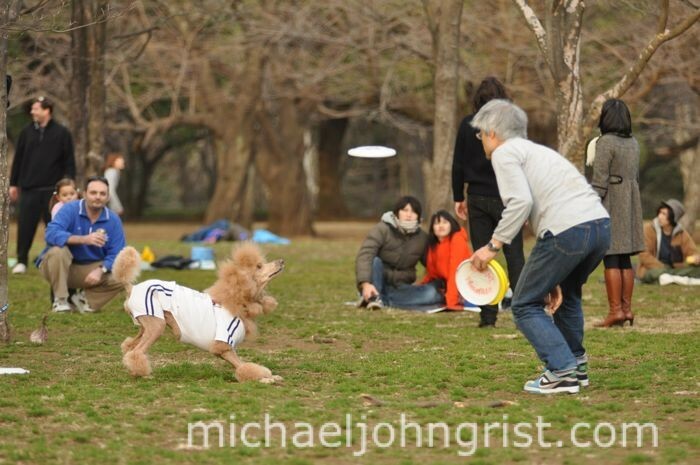 On any given weekend you’ll find Cosplayers and Rockabillies near the entrance, frisbee throwers and spinners, hula-hoopers, and dudes doing comedy in leather face masks in the first stretch, African drumming groups, badmintonners, the artist with the stereo, the cyclist with the drums, folks rehearsing a musical with brooms in it, and all kinds of instrument-players and circus-skills practisers by the empty water pools, couples canoodling, photographers, dog-fanciers, partying gaijin, kite-flyers, hacky-sack-ists and more on grass beyond the fountain. 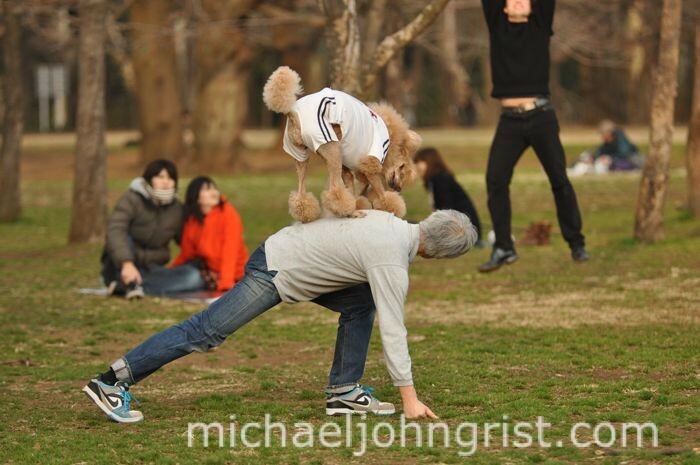 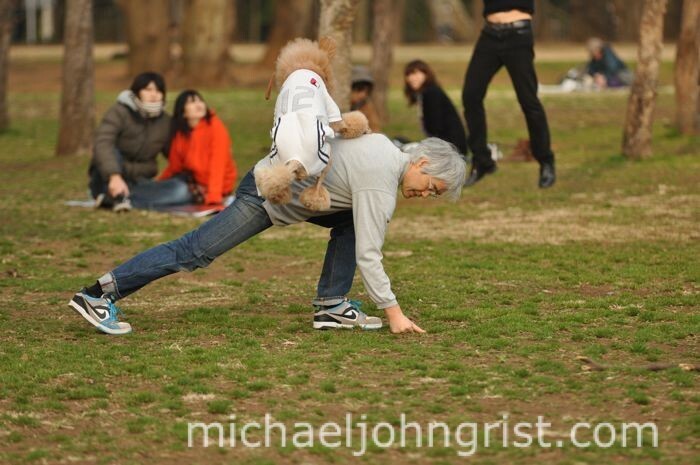 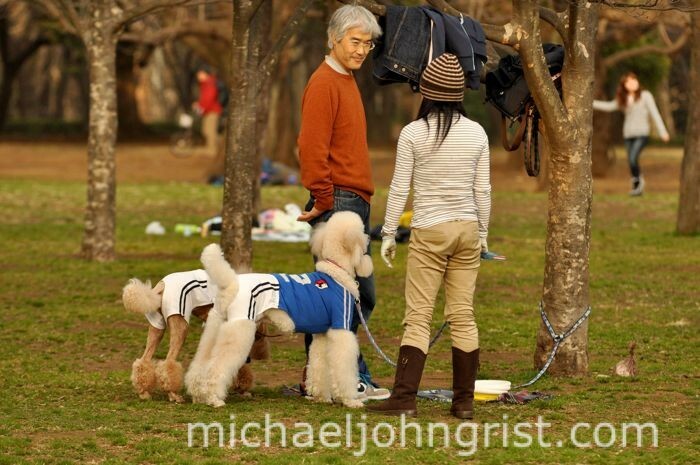 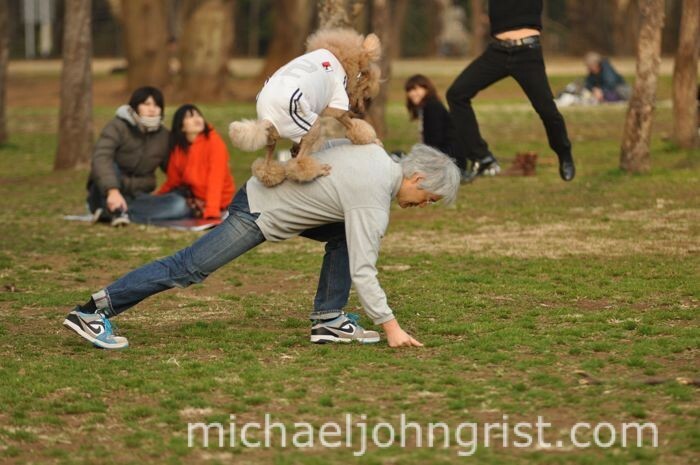 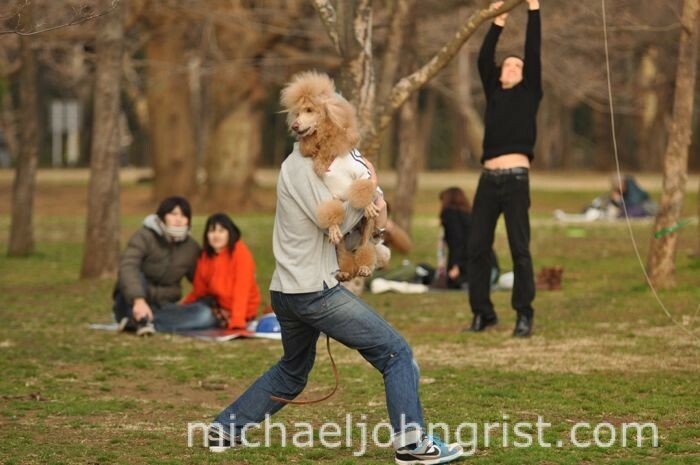 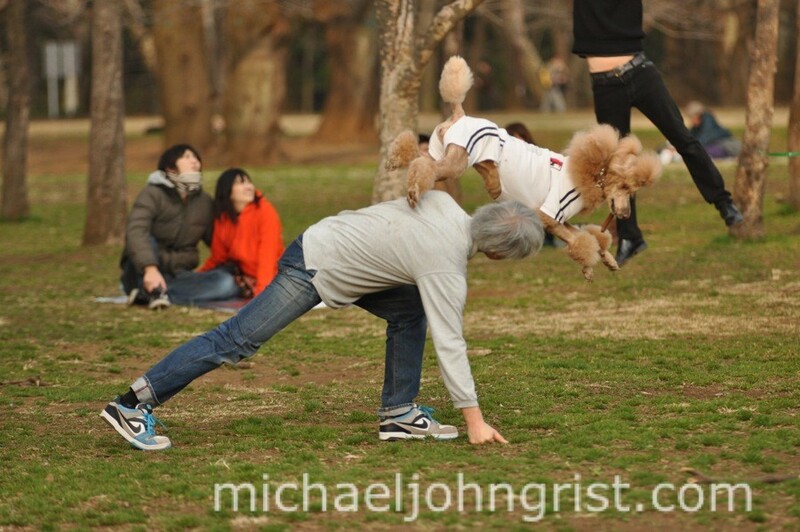 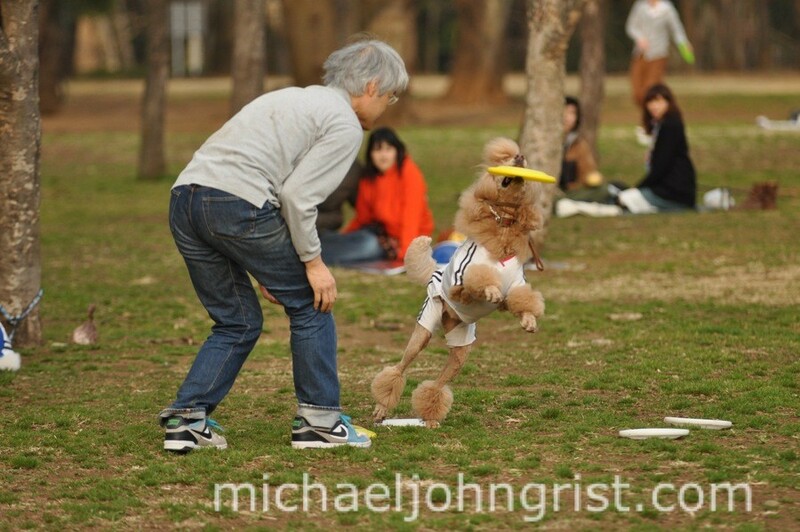 Oh, and of course- the Yoyogi Poodlers. I went to Yoyogi Park this time to see Jason off- his last full day in the country. We took photographs of horses and chatted about old times, and his future as a hopeful pro-photographer back in Florida. When the poodle-istas started the performance, we all three of us (Mike, Jason, myself) started snapping away like proper paparazzi. 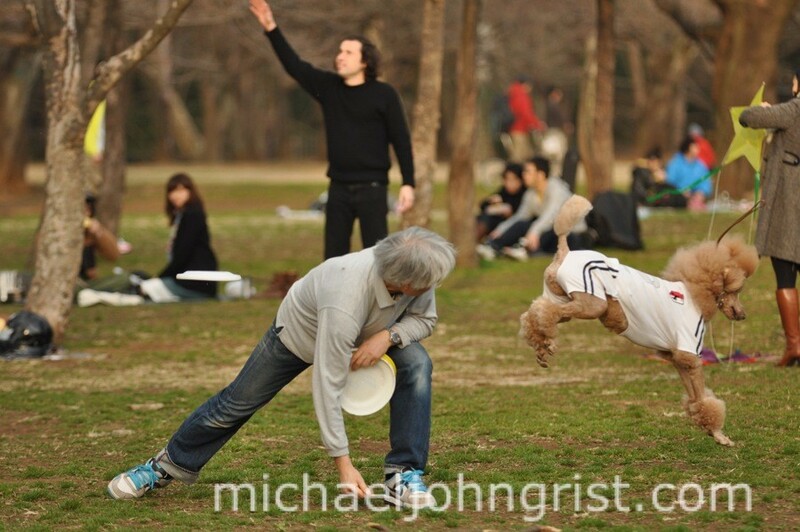 The guy in the background made things more interesting as he tried to get his kite down from a tree, by tugging on a branch. 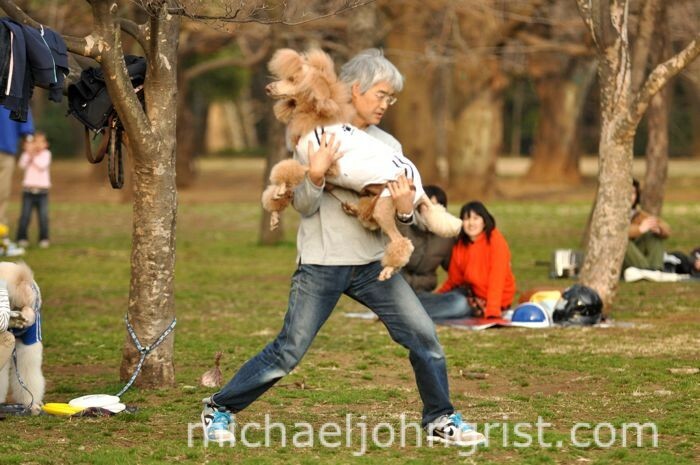 How to correctly carry a poodle.